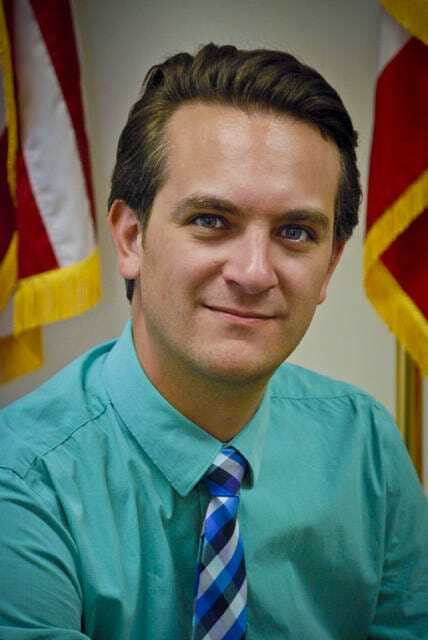 Anthony Saadey has been appointed deputy director of the Delaware County Board of Elections. Saadey has been with the board office since the end of August 2105 working as an election specialist in the warehouse with the voting equipment. His appointment to the new position was approved July 11. Saadey replaces Josh Pedaline, who submitted his letter of resignation Feb. 21. In the letter, he stated he had “chosen to pursue other opportunities.” The board officially accepted Pedaline’s resignation during the annual reorganization session March 2. Out of the approximately 30 applicants for the deputy director’s position, Saadey believes he was chosen because of his experience. Saadey said he first visited the board office while working as a contractor for an election vendor. He said he really liked the industry and began to look for counties that were hiring staff for board of elections positions. Saadey said there was a general excitement among his co-workers when it was announced that he would be the deputy director. Saadey said he thought part of their excitement was because it was someone they knew and had worked with as opposed to being an unknown person. Currently a resident of Franklin County, Saadey is moving to Delaware County now that he has accepted the position of deputy director. Living in Franklin County was a logical choice since his fiance was an assistant prosecutor in Fairfield County. “Columbus was in the middle for the both of us,” he said. She now works in downtown Columbus in the Ohio Attorney General’s Office. “We can move up here easily now,” he said. This entry was tagged Board of Elections, delaware county, elections, ohio, politics. Bookmark the permalink.